The Winnipeg Falls School District was established in June 1905 in the Rural Municipality of Whitemouth. 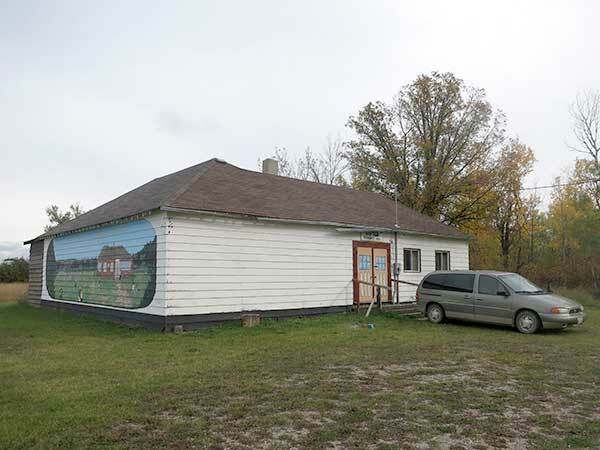 In 1929, when construction of the Seven Sisters hydroelectric powe dam commenced, the original schoolhouse was replaced by two structures: the Winnipeg Falls North School nearer to Seven Sisters and the other a two-room structure at this site in the community of River Hills. A third classroom was added to it in the 1950s. When the South School closed in 1966, the building was turned into a community hall. Among the teachers who worked at Winnipeg Falls South School through the years were Murray Holmes (1928), Thelma Jean Dryborough (1929), John Gordon Tully (1932), Edward Mroz (1936, 1940), Miss McCullough (1939), Gladys Mooney (1945), Mrs. M. Peleshok (1950), Maria Warkentin (1954), Nonie Peleshok (1957), Marian Balness (1961), and Carolyn Klepatz (1964-1966). This page was prepared by Robert Porth and Gordon Goldsborough.